Frighteningly cute. Monsters is a provocative, colorful wallpaper for young minds. 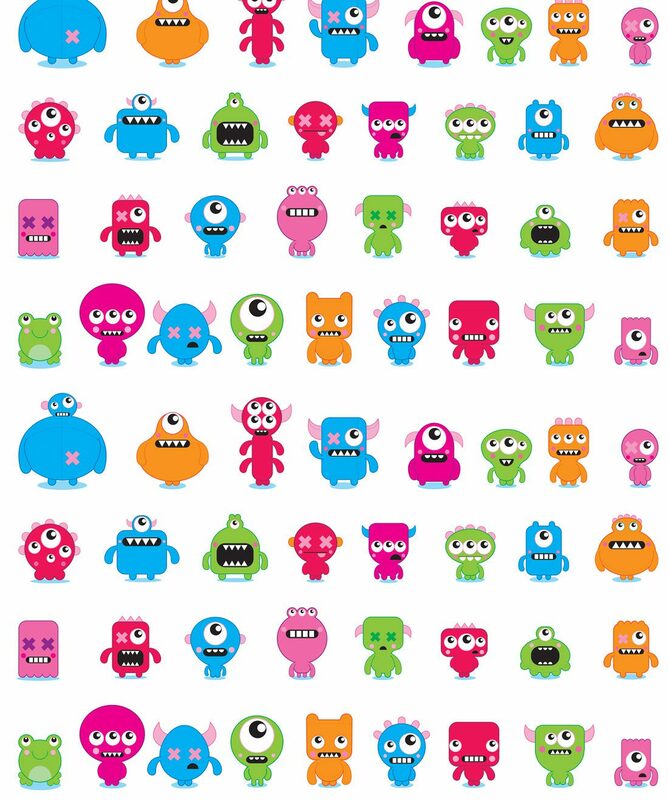 These vibrant little critters are are great for a boy or girl’s room. 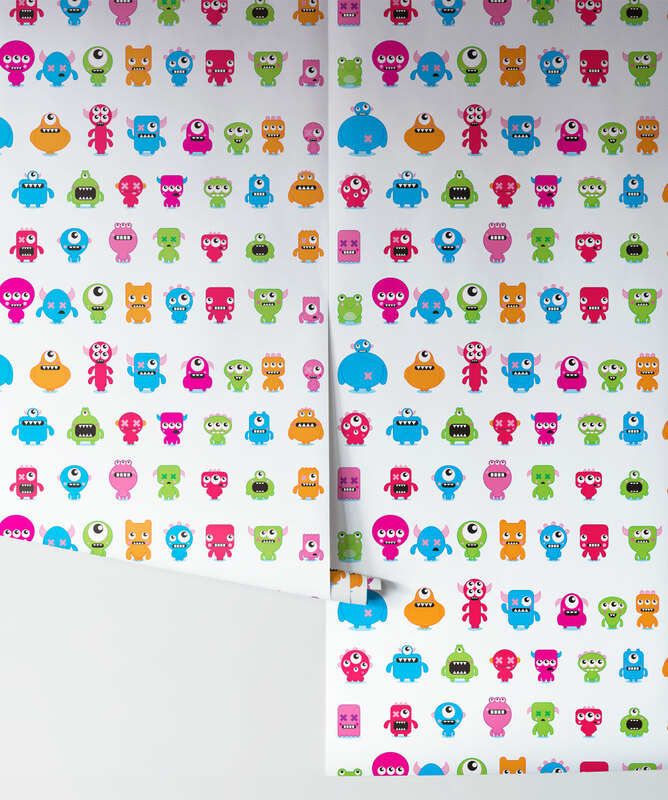 This removable wallpaper is a easy to peel and stick to the wall and remove whenever your living arrangements change.